Bristol Old Vic’s Seeds of Change Week (8—12 Oct) will reach its pinnacle with an evening of cabaret, music and poetry in the brand-new Weston Studio. Seeds of Change (8—12 Oct) is part of Bristol Old Vic’s ongoing welcome to the whole city during this Year of Change. It is a curated week of work investigating the mechanisms through which radical social change is, or might be, achieved in Bristol’s Past, Present and Future. The week includes a workshop performance of Olivier-Award winning Giles Terera’s debut play The Meaning of Zong; Miles Chambers and Edson Burton’s much-loved Curry Goat and Fish Fingers; Phoenix Dance Theatre’s Windrush: Movement of the People; as well as a transnational digital installation comprising a trilogy of literary films made in the UK, Nigeria and Nevis, called Daughters of Igbo Woman. This Friday, Seeds of Change will culminate with the grand finale event: 50 Voices for Change. The evening will be a celebration of free-wheeling cabaret, featuring glorious music and powerful speeches from the history of civil rights, alongside personal moments of inspiration from Bristol-based artists. 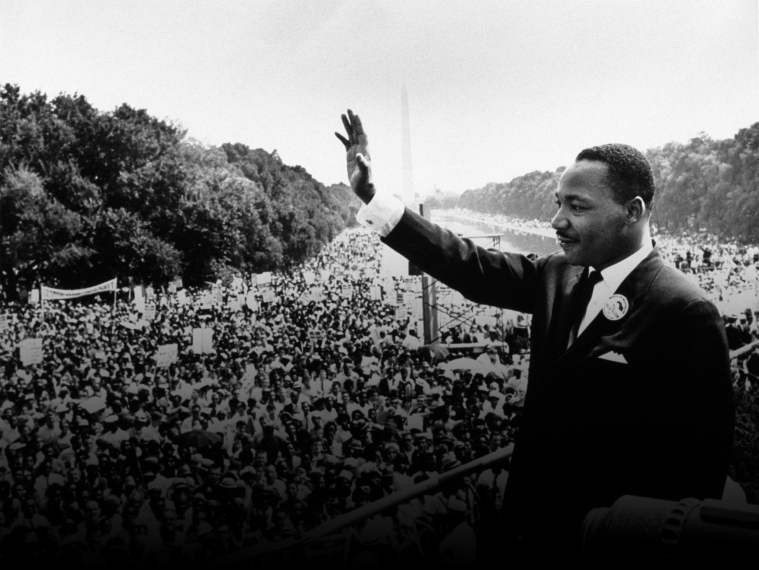 50 Voices for Change marks 50 years of civil-rights activism since the assassination of Martin Luther King in 1968. Once again ‘50 Voices’ are brought to the stage to give their personal testimony about what social activism means to them and how they use their work and art to make change happen. Contributors include Danny Sapani, Vanessa Kisuule, Soloman O.B., Kizzy Morrell, Cleo Lake, Lady Nade, and local choirs Sing with Soul and Sønder Choir. 50 Voices for Change is created in partnership with Ujima Radio, celebrating their 10th anniversary and following on from the 2015 event 50 Voices for Malcolm X, which featured local artists and activists over three nights at Bristol Old Vic. Danny Sapani is an actor, best known on television screens for his appearances in Harlots, Penny Dreadful, Misfits, The Crown, and Broken. His film credits include Danny Boyles’ Trance and The Siege of Jadotville, alongside blockbusters such as Star Wars: The Last Jedi and Black Panther. Danny’s extensive theatre work includes numerous productions at the National Theatre, including the leading role of Ephraim in the critically acclaimed Moon on a Rainbow Shawl, as Jason in Medea opposite Helen McCrory and as Tshembe Matoseh in Les Blancs directed by Yael Farber. His other theatre credits include; Wig Out at The Royal Court, the title role in Out of Joint’s production of Macbeth, To The Green Fields Beyond at the Donmar Warehouse and as Brutus in Julius Caesar at The Globe Theatre. Vanessa Kisuule is a writer, performer and burlesque artist based in Bristol. She has been appointed Bristol City Poet 2018-2020 and has won over 10 slam titles, including The Roundhouse Slam (2014) and the Nuoryican Poetry Slam in New York. Vanessa was the recipient of the Leverhulme Arts Scholarship in 2017 from Bristol Old Vic. She has worked with the Southbank Centre, RADA and Kneehigh and has had her work featured on BBC iPlayer, BBC Radio 1 and Radio 4's Woman's Hour, The Guardian, Huffington Post, The Guilty Feminist Podcast, Sky TV and TEDx in Vienna. She represented the UK in two European Slam Championships in Sweden and Belgium. Cleo Lake is Bristol’s Lord Mayor, former Green councillor for Cotham. She is also a dance instructor, environmental campaigner and writer and is known for her campaign work in the city, taking a key role in the Justice for Judah campaign, as well as the Countering Colston group. Solomon O.B. is an artist, poet, musician and frontman of Sounds of Harlowe, a Hip Hop & Funk collective, now residing in Bristol. He was recently crowned Hammer & Tongue National Poetry slam champion and was awarded 2017 Spoken Word Artist of the Year by Black British Entertainment. He has featured on BBC Radio 1Xtra and The Guardian and was recently named a guest speaker at the Telegraph Festival of Education. Forward-looking whilst rooted in tradition, Solomon O.B mixes the roots of rap, poetry and storytelling to create truly memorable performances. Kizzy Morrell is the founder of Studio 7, an artist development academy, and a professional artist with over 30 years’ experience in the music industry. Kizzy was mentored by Motown artists including The Temptations and The Drifters and was encouraged by them to attend gospel-singing school, which she did for 10 years. She has worked with major artists including Prince, The Eurythmics and Take That. Lady Nade is a blues, roots, soul and folk-influenced award winning singer-songwriter from Bristol. She has supported the likes of Zara McFarlance and Vintage Trouble and has performed in countless locations, from underground bars to festival fields to concert venues to European cities. In 2016 she released her debut album ‘Hard To Forget’ (Kitchen Studios), which was described as “a satin cure for the soul” by BBC Introducing. Sing With Soul is a Bristol-based choir set up by musician and actor Dionne Draper with the vision of empowering female voices through music, song and the spoken word, bringing communities together (Zion Communtiy arts, Afrika Eye) and helping victims of abuse (SARSAS). Dionne’s credits include Sky 1’s Trollied, BBC’s Holby City as well as singing credits for the Spice Girls (Earls Court) and Basement Jaxx (Rooty album). Sønder Choir is a new collective of professional vocalists in Bristol, brought together by a passion for creating beautiful vocal harmonies. They have performed at a variety of events including festivals, soirees, fundraisers as well as BIMM graduations, Sofar Sounds and have collaborated with several recording artists. Sønder Choir incorporates multiple genres including a fusion of gospel, neo-soul and jazz.